March 2011 marks the end of a gaming titan's remarkable run as managing partner of one of the most prestigious casinos in the United States. Kelegian turns the reigns over to his protege, Hashem Minaiy, the newly crowned Managing Partner and CEO, whom he hand-picked to manage his team back in 1999 when Kelegian and his partners purchased the flailing casino. As the proud son of an Armenian immigrant, Kelegian began a successful career in the insurance industry. He entered the gaming arena in 1982, becoming a shareholder in the Commerce Casino, a decision that influenced the sale of his insurance business and an early retirement. It was a short-lived plan; Kelegian was meant for broader horizons. His experience serving on the Board of Directors for Commerce Casino over the years in various capacities including his roles on the Finance Committee, Audit Committee and Compensation Committee, Director and ultimately Chairman of the Board gave him a unique, hands-on experience with the largest casino in California. That experience paid off. With his partners, he purchased Ocean's Eleven Casino, a 47-table card casino in Oceanside, California. This venture was extremely successful, and though considered a mid-size card room, it has a "supersize" reputation for card room excellence. A few years later, accompanied by friends and business partners, Robert Carter and Walter Lack, he set his sites on purchasing the infamous Bicycle Casino and has never looked back. Featuring 190 tables and considered one of the country's largest card emporiums, the Bike offers all games of skill from Poker to Black Jack, 3-Card Poker, EZ Baccarat and Pan 9, to name a few. Its sprawling 125,000 square foot facility now boasts a spacious Event Center that is the talk of Los Angeles. He has a taste for the finer things, and each of his properties upon acquisition begins its transformation, with an insistence that elegance and classic lines define the aesthetic. Deemed one of the country's largest tournament poker houses, the Bike entertains thousands of visitors from all over the world each year. Kelegian became an energetic industry leader early on, seeing the need for California card rooms to work together to improve their industry with better regulatory measures, streamlined card room practices, and joint lobbying efforts. He was instrumental in revitalizing the California Gaming Association (CGA), serving as president for 3 terms, an organization committed to improving the state's gaming image and practices. 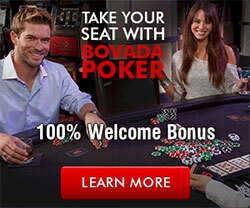 With over 80 members, it continues to evolve the California gaming market. Attributed with easing the gap between state cardrooms and tribal casinos, Kelegian continues to forge positive resolutions with State government and legislators, and has worked directly as a member of the California Gambling Control Commission Advisory Committee. He is also credited with co-creating the Cities for Self Reliance Joint Powers Authority, organizing and invoking cities in which casinos reside to come together and increase their voting power to influence positive legislative changes in this industry. Kelegian's devotion to Armenian causes is a long held commitment and passion. A former resident of Montebello, he has long been one of the leaders in the local Armenian community, heavily involved in its church and school activities. Now residing in Southern California's Newport Coast, he continues to be involved in various organizations and efforts to better life for his Armenian brethren. His success is a combination of talents - he has a keen sense of where the industry needs to go and a knack for choosing a talented and committed team to help him get it there. His visionary approach has taken the Bike to worldwide recognition, with high profile projects like the global phenomena, World Poker Tour. Kelegian remains a committed casino owner and will continue to contribute to the industry through various efforts.